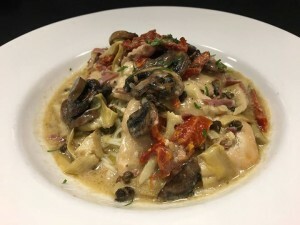 Mondo Italian Kitchen offers fresh, made-from-scratch Italian dishes, boutique Italian wines and craft beers in the restaurant’s warm, inviting atmosphere and Osteria-style tavern. 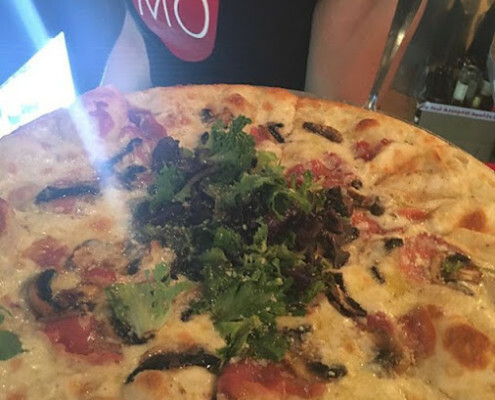 Mondo is a casual, family restaurant serving our spin on Italian classics along with artisan New York-style pizza. 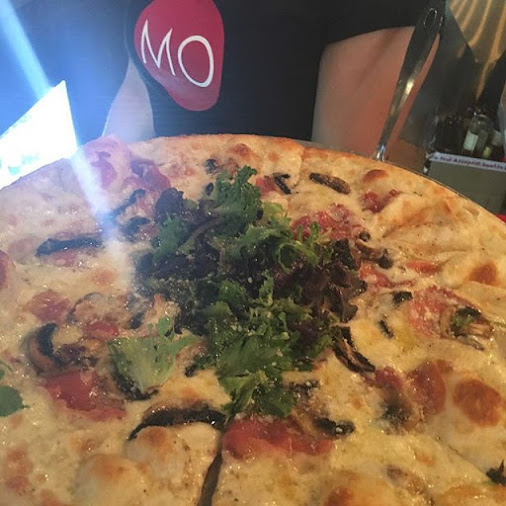 Mondo adapts our menu to fit the seasons, with fresh, local ingredients as the focal point to our dishes. Bar guests in the “Osteria” can choose from select Italian wines and craft beers, in a comfortable setting – at a communal table with family or friends. Mondo’s goal is to utilize local sourcing where possible, extending to the beer selection which includes local brewers. Come and get your Paisan! Come join us for our special Mondo Mule or Elderflower Prosecco, as well as a selection of Italian and domestic wines, local craft beers and your favorite spirits. 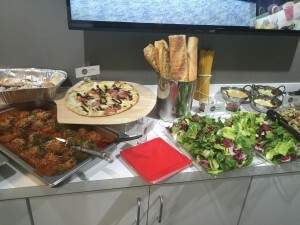 Mondo Offers Catering from 10-200! Please call us for a Catering Menu! We can provide the food for pick up or delivery in boxes or large trays. Perfect for family style dinners, neighborhood gatherings, dinner parties or large events. We also have a party room here that holds 20 and can be reserved! Atlanta Eats – Meet The Family! Check us out on Atlanta Eats! tapenade with EVOO topped with feta. crostini. served with baby roma tomatoes. crostini. 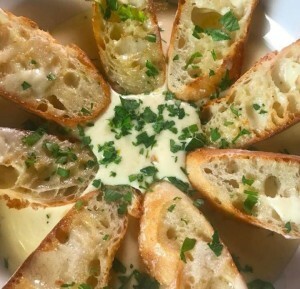 tossed with parmesan cheese and pepperoncinis served with roasted garlic lemon aioli. norwegian smoked salmon with EVOO. red onion. capers. creamy horseradish. lemon. crostinos. fried eggplant. goat cheese. basil. balsamic reduction. marinara. ciabatta. special italian cheeses. fondue. roasted garlic. crispy fried risotto. marinara. chef’s choice. red beets. pistachios. goat cheese crumbles. arugula. evoo. balsamic reduction. iceberg & romaine. pepperoncini. artichoke hearts. tomato. red onion. roasted red pepper. olives. feta cheese. tossed in red wine vinaigrette. romaine. gorgonzola. red onion. bacon. tomato. ranch. goat cheese. bacon. almonds. muddled strawberry vinaigrette. baby romaine. parmigiano reggiano. 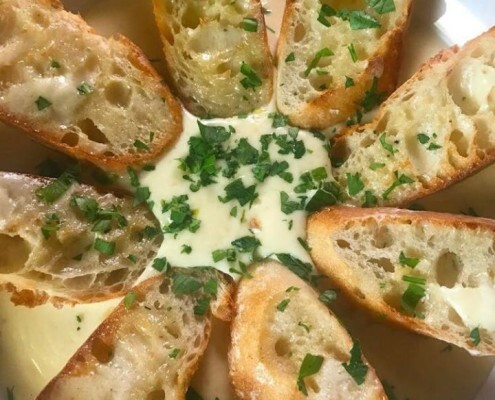 garlic croutons. spaghetti. carbonara sauce. pancetta. peas. marinara with fresh garlic, crushed red pepper, bacon & parmesan. finished with dollop or riccata. squid ink striped ravioli. light sherry cream sauce. farfalle. tomato vodka cream sauce. fresh spinach. crushed red pepper. sun-dried tomatoes. zucchini noodles with eggplant. squash. red peppers. onion. mushrooms, tomatoes. spinach.with white wine olive oil sauce. black tiger shrimp. garlic. italian parsley. lemon. bread crumbs. white wine sauce. 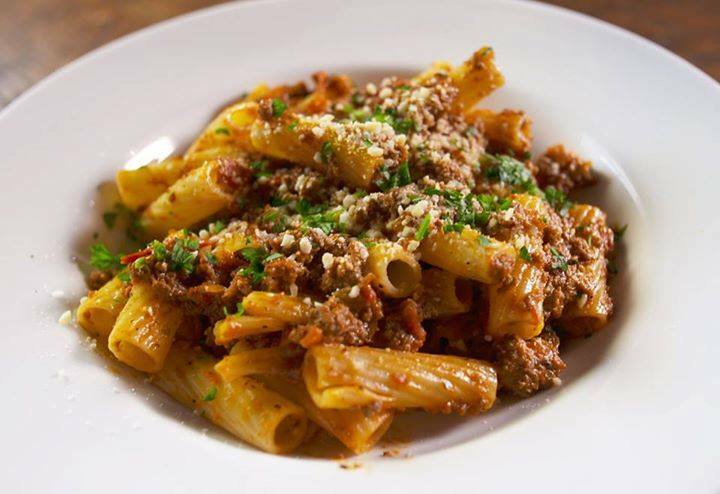 classic veal & pork meat sauce. touch of cream. olive oil. garlic. fresh tomatoes. basil. housemade marinara. add to any dish: meatballs $5. chicken $5. shrimp $7. 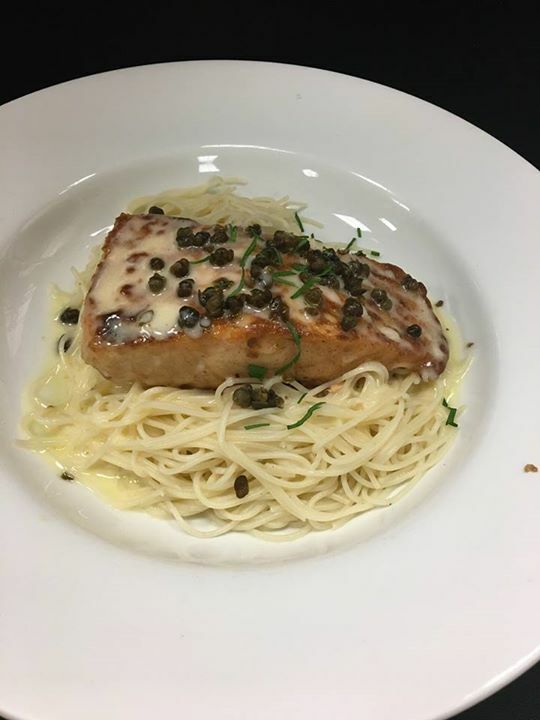 salmon $9. grouper $9. veal $9. sauteed shrimp. asiago risotto. sauteed spinach. tomato beurre blanc. 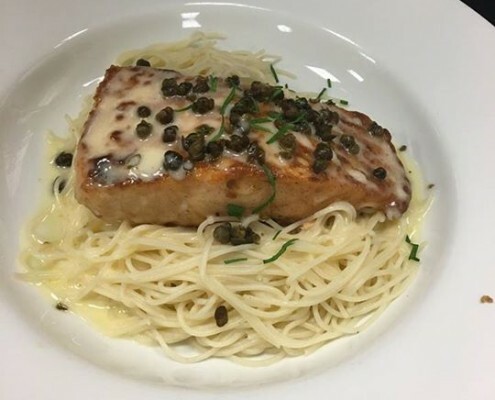 salmon over orzo. sauteed spinach and feta cheese finished with balsamic reduction. lemon butter. tomato. basil. parmesan. risotto. capers. veal. proscuitto. sage. white wine butter. brown butter. roasted potatoes. veggies. chicken. artichoke hearts. mushrooms. prosciutto. sundried tomato. sauteed in white wine lemon butter. crispy capers. spaghetti. breaded. marinara. melted mozzarella. spaghetti. capers. italian parsley. lemon butter sauce. mondo pizza sauce. mozzarella. ricotta. meatballs. crushed red pepper. pesto base. mozzarella. asiago. carmelized onion. olive oil. garlic. spinach. ricotta. mozzarella. parmigiano reggiano. mozzarella. smoked gouda. bacon. onion. 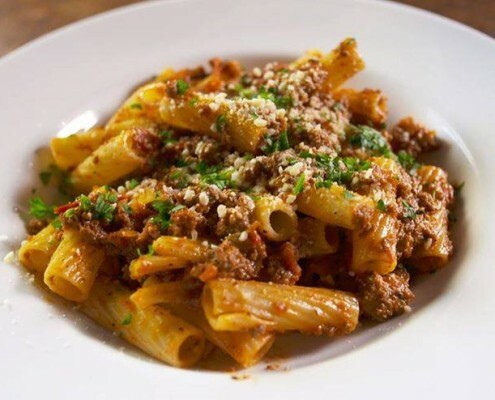 Mondo bolognese. roasted red pepper puree. olive oil. mozzarella. provolone. gouda. pesto. roasted garlic puree. Mondo tomato sauce. mozzarella. smoked gouda. ricotta. ham. pineapple. proscuitto. olive oil. fresh basil. fresh tomato. fresh mozzarella. garlic. truffle oil. mozzarella. prosciutto. artichoke. mushroom. red onion. ricotta. tomato sauce. mozzarella. onions. spicy Italian sausage, roasted red peppers. ricotta. fig puree. granny smith apples. prosciutto. sautéed red onions. mozzarella. gouda. pepperoni. sausage. meatballs. ham. bacon. tomatoes. mushrooms. onions. black olives. jalapenos. pineapple. roasted red peppers. green peppers. spinach. pepperoncini. anchovies. arugula. goat cheese. feta. smoked gouda. gorgonzola. ricotta. truffle oil. carmelized onion. artichoke hearts. proscuitto. sun-dried tomatoes. pesto. garlic puree. fig puree. roasted red pepper puree. white or red cheese pizza. gluten-free chocolate torte. red wine reduction. Make your reservation by phone? Give us a call! You can contact us between 4:00pm and 9:30pm six days a week. Our phone number is (770) 680-4452.